Positive Press – Lost With Translation! 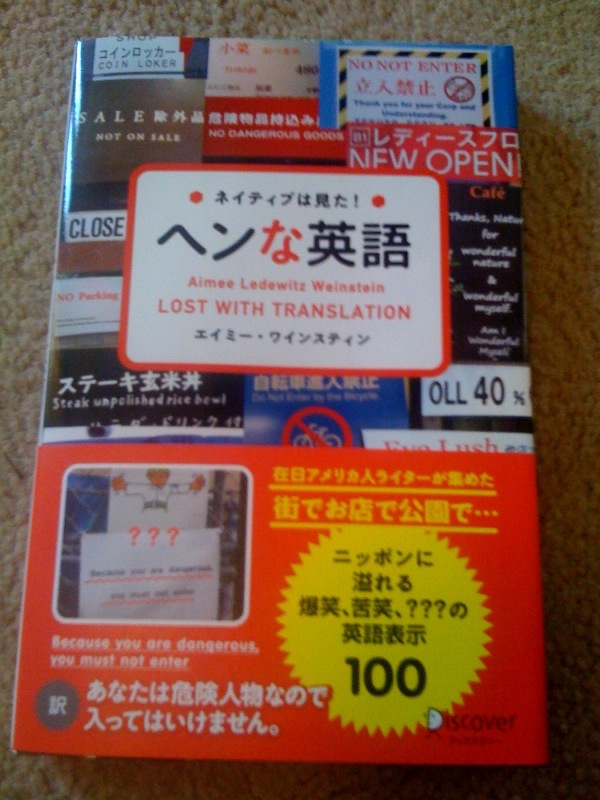 My book, Lost With Translation, or in Japanese Hen-na Eigo (weird English) came out in January, and now it’s getting positive reviews in the the Japanese press. Please go out and get your copy from Amazon.jp if you live in Japan. If you live elsewhere, contact me, and perhaps I can get you a copy. Both the Asahi Weekly and Japan Times Weekly editions reviewed the book and called it good for English learners. They called the author funny and said the book was a good read. Hi, saw the book at your mom and dad’s this week. Very good. we had some chuckles over some of the signs. What a great place they have. We had fun.